Make memories that will last a lifetime. We offer affordable fishing trips and scenic cruises near you for tourists and locals aboard our head boats in the Outer Banks of North Carolina. For over 30 years we’ve been operating party boats in the Outer Banks of North Carolina, taking both first time visitors and regular customers on offshore and inshore fishing trips, as well as on our popular evening scenic cruises. At Capt Stowe Headboats, we provide an affordable, fun, and memorable experience for everyone who steps on board our boats. For the experienced angler, the first time fisher person or if you’re just looking to relax and watch dolphins and the sunset over the Pamlico Sound, our goal is to make your day the best it can be, whatever activity you choose. 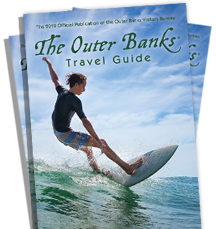 There are numerous options for sightseeing and fishing in the Outer Banks, but we often see our customers year after year, and we’d like to add you to the list this year.